Deuteronomy is the fourth book, and the second large book that I have worked my way through systematically from beginning to end. It took me a little more than a year (13 months and 1 week) from my first post on Deuteronomy 1 to the final entry on Deuteronomy 34. Deuteronomy is not a book that a lot of Christians spend a lot of time with but for our Jewish brothers and sisters it is one of their most important books. Most Christians don’t spend much time with Deuteronomy, well with the exception of Deuteronomy 6 which has become important to those who want to talk about faith formation in the home or Deuteronomy 5 which re-articulates the ten commandments. 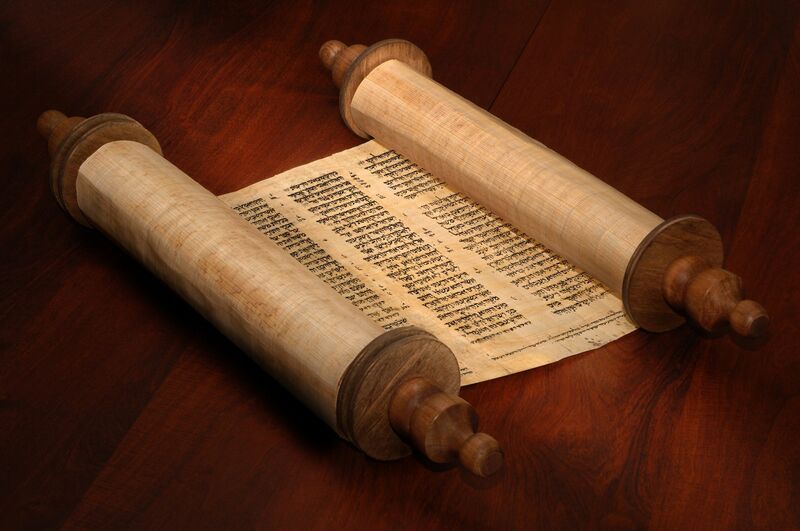 Many of the ordinances and commandments of Deuteronomy seemed alien to me and yet, I knew that there was a reason that people had gone back to this work for over 2,500 years. Using Walter Brueggemann’s and Deanna A. Thompson’s commentaries on Deuteronomy as my two primary reading companions I began not knowing how the project would turn out but at least motivated to see what wisdom I would glean from this ancient work. I was motivated by the knowledge that I had made it through Jeremiah, a larger and very challenging work, and that I would be able to eventually reach the point of reflecting back again. I am a Lutheran pastor who has spent most of my time studying the Gospels and Paul’s letters and who comes from a tradition that is open to reading scripture with a critical eye. Deuteronomy has some sections that in the twenty first century we will not be adopting or advocating and so I have tried to bring the issues of the time into conversation with the events and policies and beliefs of our time. I have tried to use Deuteronomy as a helpful conversation partner-trying to understand how the author of Deuteronomy thought about God and society. Deuteronomy wants to imagine a society ordered around God’s law and living out of the covenant relationship with the LORD the God of Israel. For the people of Israel and Judah their public life was a reflection of their faith and there was no concept of a separation between church and state. In a world where the people of Israel were surrounded by a plethora of religious alternatives the book of Deuteronomy tries to imagine a society centered around the laws and covenant and ordinances of the God of Israel and a manner both catechetically in the home and liturgically in the worship of the community that would pass on this faith from generation to generation. The great anxiety of the book of Deuteronomy is that in the midst of abundance the generations to come would forget the source of their abundance and become attracted by the practices and the gods of the people around them. I am very aware of the postmodern, secular, pluralistic world in which we live and I have attempted to bring the questions of that worldview into conversation with the strictly ordered worldview of the Deuteronomist. What has emerged at its best is an opportunity to think ethically about what type of world I as a Lutheran Christian in 21st Century would imagine in dialogue with Deuteronomy imagining God’s will for their time. Because our hermeneutics and starting points are different there are times where we come to different answers and that is OK. Even when I may diverge from the way Deuteronomy understands God or the meaning of what God desires I still try to find the wisdom of the people who were wondering God’s story had entered their story through the Exodus and through their experiences. As a modern scholar I have used a lot of different tools in working through Deuteronomy. The first is an ancient tool, I simply forced myself to listen to the text by slowing down and manually writing out the text as I commented on it. As mentioned above, I am a Lutheran pastor so I do come from a perspective where the cannon within the cannon (or the most important key to understanding scripture) is what conveys Christ and so I have listened to where Deuteronomy spoke in concert and contrast to the witness of Christ throughout the New Testament. I have brought my experiences and listened to the ways my time in the military, as a father, as a divorced person, and as a pastor have been brought into conversation and filled out the way I can hear these texts. I have been intentionally intertextual, allowing Deuteronomy to be in conversation with the rest of the Bible. But I come to this as a person who loves the Bible and the God it tries to bear witness to and as a pastor who wants to communicate this story to others who would have the patience to listen. I am not a PhD in the Hebrew Scriptures, just a willing student of Deuteronomy. Wrestling with books like Deuteronomy is more challenging than the familiar gospels or even Paul’s letters but there is wisdom. It is hard to understand the way the early church leaders talked about Jesus without understanding the scriptures they were reading. There are portions of Deuteronomy that help make sense of who Jesus was and what he was striving for. For example, look at Deuteronomy 17: 14-20 and then think about what it meant for Jesus to have the title Messiah (anointed king) applied to him. Deuteronomy forms the basic frame that the prophets will work out of as they protest the injustices and idolatry of the nations of Israel and Judah. The thought of Deuteronomy will form one of the loudest voices in informing the rest of the Hebrew Scriptures as they evaluate their history and as they imagine their future. If you have benefited from these reflections I am thankful. They have been beneficial for me to write. The process continues to allow me to grow in my faith and understanding. I hope that in them I have exercised wisdom. I have benefited from the wisdom of others who have passed on the faith and this tradition to me. As an update on what is next I am returning to the book of Psalms and will work through Psalms 11-20 as I decide which book I will work through next. I have enjoyed this project but I also am ready to work with something new and there is always a sense of relief at the completion of a work like this (even if I am the only person who ever reads it). This entry was posted in Biblical Reflections, Deuteronomy and tagged Deuteronomy, Hermeneutics, Old Testament. Bookmark the permalink.